Best selection of used vehicles in the Bridgeton, MO. You Can’t Beat A Leta. At Frank Leta Automotive Outlet, we believe everyone deserves the chance to own nice, reliable transportation. We help our clients find solutions to make every ownership simple, affordable, & enjoyable. We treat our team, our clients, and the community we serve like family. Welcome to Frank Leta Automotive Outlet Used Car dealership in the metro St Louis and metro east area. Our pre-owned vehicle dealership near Saint Louis in Bridgeton, MO is here to help you find your next vehicle and help secure the best interest rates and financing terms. You'll find a friendly and accommodating staff eager to assist you and answer any questions you may have. 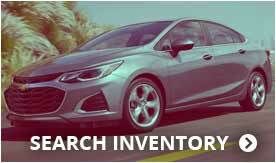 We carry all makes and models Ford, Chevy, KIA, Hyundai, GMC, Buick, Toyota, Honda and many more. We only stock the very nicest used cars and trucks for Saint Louis in stock. If you're in the market for a great preowned car, truck or SUV you'll find it at Frank Leta Automotive Outlet. You'll also find a team committed to ensuring that you find the right vehicle for you. On our end, that means answering questions, and getting you behind the wheel for a closer look. Rather spend a little less on a car and save a little more for retirement, a down payment, or dream vacation? We totally understand: new cars aren't for everyone. As such, we have an expansive array of low-mileage, well-maintained preowned cars for your inspection. Everything Under One Roof: From preowned autos to flexible used car loans in Saint Louis. Another thing that makes Frank Leta Automotive Outlet unique is that here, when someone has found the vehicle that best suits their lifestyle and driving style, it doesn't mean the fun part of buying a car is over. 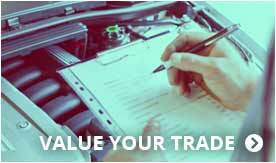 Our car financing specialists are available to help all credit situations for all customers. Good credit, poor credit, or past credit problems we have helped Missouri residents for years get the auto loan that fits their budget. Our dealership is also proud to have a new Full Service Department serving St Louis, Bridgeton, Florissant, O'Fallon, and St. Charles, MO. 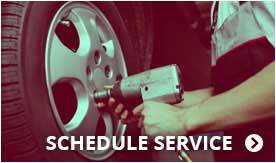 Whether it's standard maintenance like an oil change or tire rotation or a more serious car repair, our professional technicians can handle it and get you back on the road. Need new brakes and rotors or a tune up? No problem. Eager to get to look at our inventory in person stop by 12101 St Charles Rock Rd, Bridgeton, MO when you can. We're just a short drive from most anywhere in the St Louis and Metro east areas as well as Bridgeton, Florissant, O'Fallon, and St. Charles MO. You can call us at (314)395-8900 but we'd love to have the opportunity to meet you too.